Witness everything that makes Palawan one of the best tropical destinations in the world - uninhabited islands, emerald waters teeming with marine life, magical lagoons, mouth-watering local cuisine, jagged limestone cliffs, pristine beaches, lush mountains, and tropical jungle filled with wildlife. 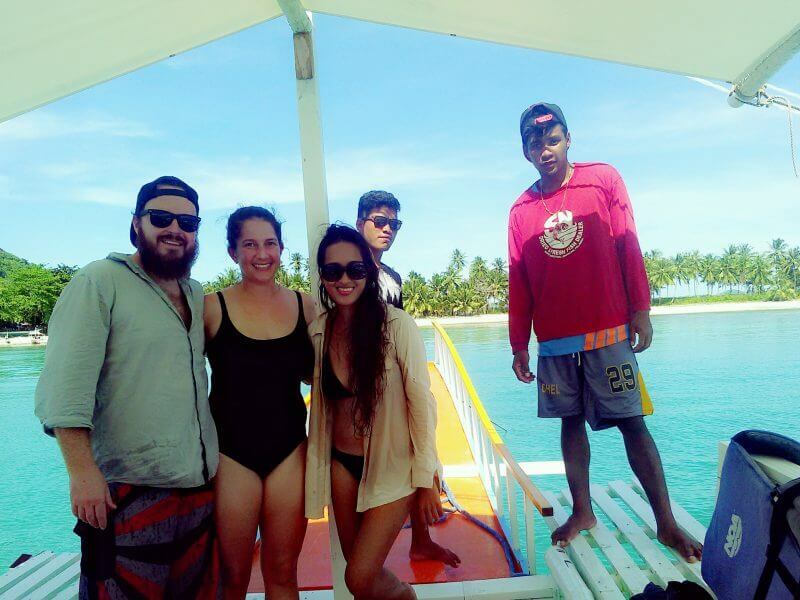 This Palawan tour encapsulates the best of Palawan. Over the course of 8 days, you will fully immerse yourself in all things Philippines. Note: This is a sample itinerary that can be tweaked to suit your interest. Let us know if you would like to add any other activities you have in mind, and we will try our best to make everything possible for your holiday. Please also see ‘Activities’ below. We will welcome you at the airport and transfer you to your hotel. Along the way, our representative will brief you about your upcoming tours in the itinerary. Note: Please send us your correct international flight details. 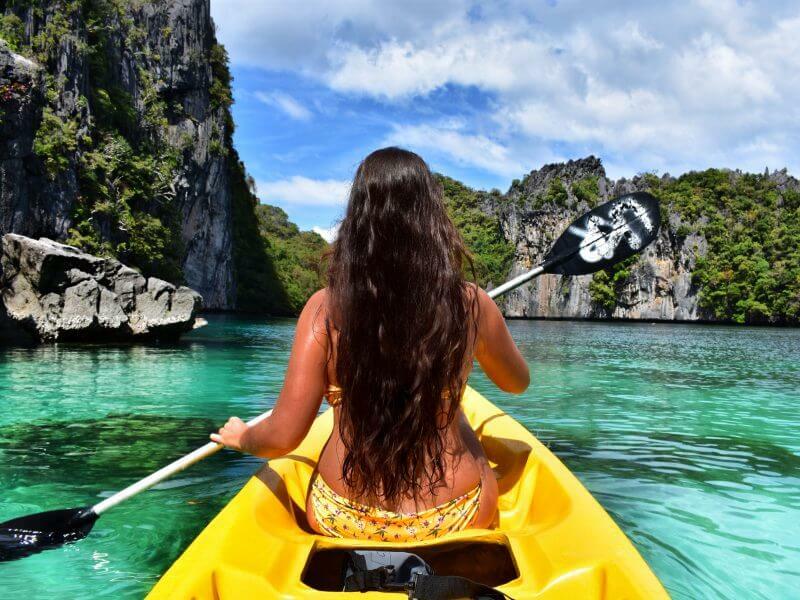 Free time suggestion: Kayak to Cadlao Lagoon and nearby beaches. Let us know beforehand so we can rent the kayaks for you. (Guided tour available upon request). Optional: We will pick you up before sunset for the “Food Crawl.” We will visit the top 5 restaurants in El Nido town and taste various Filipino food, usually popular snacks and appetizers. Our representative will fill you in with stories and insights about the local food and culture. Our representative will pick you up at your hotel at 6:45 am to take you to the main pier. Please be ready so we can board the boat at an earlier time than usual – this is to ensure that we will be one of the first groups to reach the most iconic spots. We want to make sure that you can enjoy the sights around the archipelago without a lot of other tour boats around. You are free to stay longer in any place you wish as long as we can return to the mainland before 5:00 pm. At the end of the tour, we will transfer you back to your hotel. Our representative will pick you up at your hotel at 9:00 am. This relaxing tour takes you first to Las Cabanas Beach, located 3 km south of El Nido town. Las Cabanas Beach Resort has a botanical garden and a sizable beach with clear waters and a house reef. Swim, relax and enjoy the panoramic view of the outlying lands. Then we’ll take you to Nacpan beach, a 45-minute to 1-hour drive from Las Cabanas. Nacpan beach is a vast stretch of white sand and clear waters. Here, we are are going to have lunch in one of the cottages. You are free to enjoy the rest of the day here in Nacpan – swim, sunbathe, explore the whole beach, hang out in the bars, or catch the sunset. Our representative will pick you up at your hotel at 5:30 am for your journey to Coron. You will depart the pier at 6:00 am and arrive in Coron between 9:30 am and 10:00 am. Departure and arrival times may vary up to 1 hour due to sea conditions. The ferry schedule is subject to change. Our representative will pick you up from the pier to take you to your hotel. Free time suggestion: Climb Mt Tapyas. There’s a developed trail or stairway up to the top of the hill overlooking the bay. Our representative will pick you up at your hotel at 8:00 am to take you to the main pier. From here, you will board the boat that will take you on a journey around the stunning islands. Spend a day swimming in the aquamarine lagoons and marveling at towering limestone cliffs. 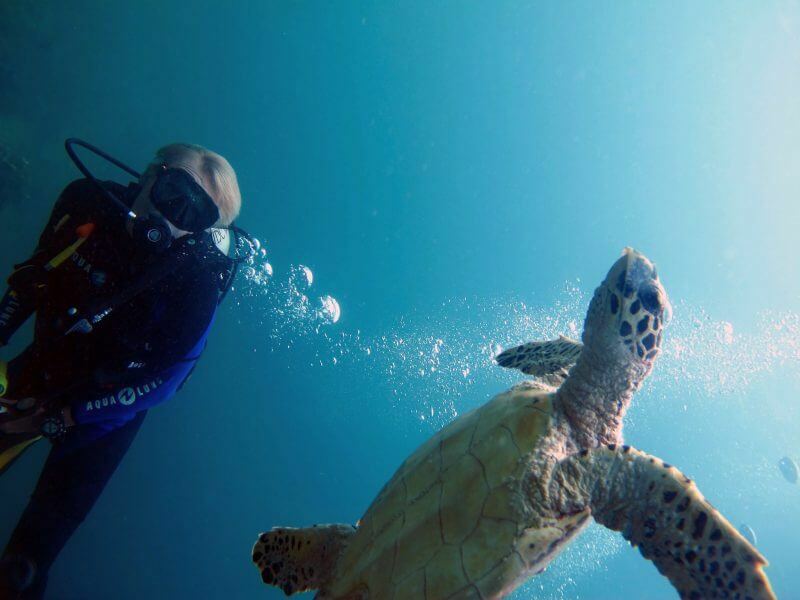 Snorkel and observe the diverse marine life that surrounds you, then help yourself with the sumptuous lunch specially prepared for you. Swim in the crystalline waters and enjoy the pristine beach. At the end of the tour, we will transfer you back to your hotel. Our representative will pick you up from your hotel in the morning at 8:00 am to take you to the main pier. This relaxing beach tour lets you visit 3 islands in Coron. At the end of the tour, we will transfer you back to your hotel. Our representative will pick you up from your hotel and transfer you to the airport for your flight. 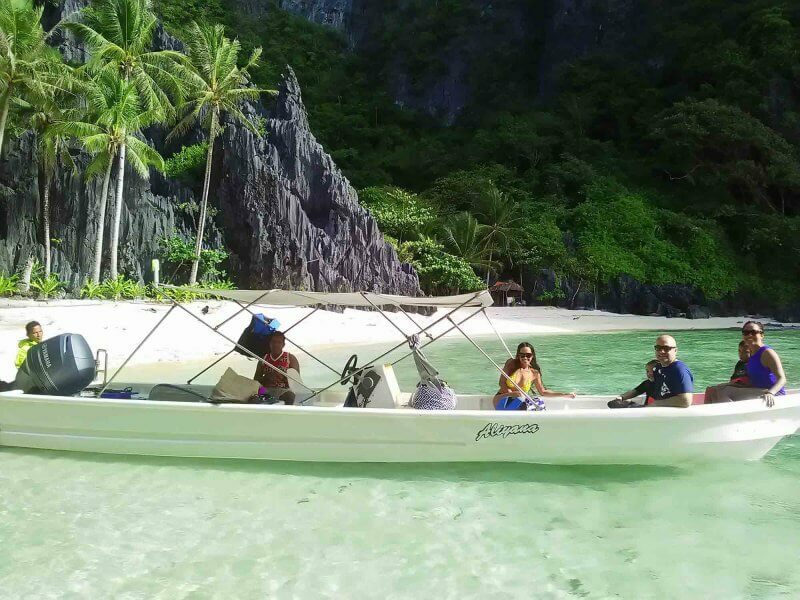 Why Choose Our El Nido Private Tour Packages? Once you have created a master page, you will be able to add content to that page for each destination you have createdm with your destination-specific content. Note: Palawan Alternative focuses exclusively on whole-trip itineraries.